If you are considering a move to Panama, then you will be pleased to learn that there is a large amount of real estate for sale here. Whether you want to find a home in Panama City, a beautiful property in the mountains, or a house by the beach, Panama offers it all. It is important to first note that most of the property you will find for sale in Panama will be much more affordable than what you may be accustomed to. Panama is regularly hailed for providing First-World luxuries at Third-World costs. Panama City is a modern metropolis where you will easily find all of the amenities and comforts you need. Nevertheless, the country’s economy is still developing, and prices are relatively inexpensive across the board. In other words, you will be able to find stunning properties for sale in Panama that you may not be able to find or afford elsewhere. It is similarly important to point out that buying real estate in Panama is relatively simple. Foreigners in Panama enjoy the same property ownership rights as Panamanian citizens. So when you find that exquisite beach lot for sale and are ready to pursue your lifestyle dream, you needn’t wade through painful property laws that persist in other nations. That said, you should always proceed cautiously and legally when eyeing real estate for sale in Panama. But rest assured that you will most likely be able to buy the property with little hassle. Those interested in living in booming Panama City will be happy to know that there is a long list of luxurious high-rise properties for sale. Many of these high-rises offer state-of-the-art modern facilities that are the definition of luxury. There are always properties for sale, but the apartments and condos are typically sold out well before the construction is finished. Do not let that dissuade you from researching the market—rather, take it as evidence of what a hot spot Panama City is becoming and the bright future ahead. 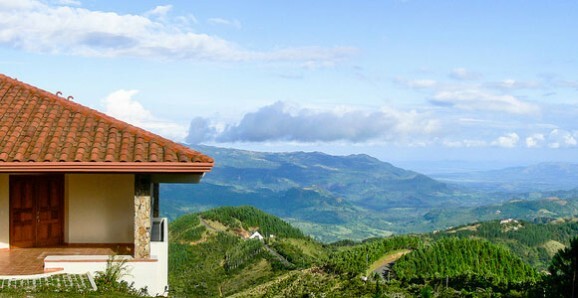 There are also countless other properties for sale in Panama City at even cheaper prices than the luxurious high-rises. There are attractive apartments and houses scattered around the city available for purchase. These properties may not be advertised as vigorously as the new high-rises under construction, but you can undoubtedly find quality properties for sale that suit all price ranges. In the San Francisco area of the city is an apartment of about 860 square feet and features two bedrooms, one bathroom, and a laundry room. The unit comes with one allotted parking space. The building has a covered carpark with visitor parking, as well as a night doorman. Price: $78,000. In the neighborhood of Betania (where International Living’s Panama Editor Jessica Ramesch lives), there’s a two-bedroom, two-bathroom apartment with balcony for sale. The unit is just seven years old and comes with a laundry room. The property is about 800 square feet and comes with one allotted parking space. Price: $79,500. A new apartment in Albrook is on the market. The three-bedroom, two-bathroom unit is about 900 square feet (including balcony) and comes with white-line included and central air conditioning. The building (with a doorman) boasts a social area with gym, pool, and party room. Price: $139,000. Many people looking for Panamanian real estate are not at all interested in living in Panama City. Many are, in fact, more attracted to life in the countryside, where the cool breezes and mountain valleys create an eternal spring-like climate. 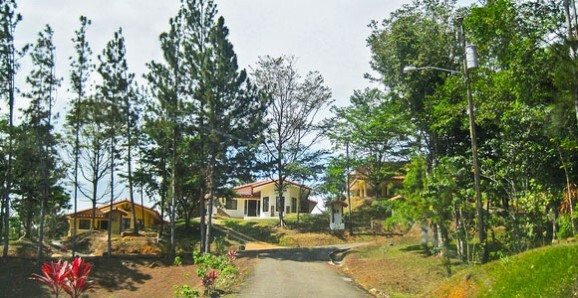 Boquete, in Chiriqui province, is the most famous of such locales, and there is much land and many developed properties for sale there. Unfortunately, Boquete’s many attributes have led to increasing popularity that has also spurned a rise in prices. People looking for slightly less expensive properties will be able to find them for sale in other comparable locations around Panama. The forested mountains of Boquete offer another kind of paradise in Panama. This little valley, located in the mountainous Chiriquí region at an elevation of 3,500 feet, is one of the world’s most wondrous refuges. Due to its elevation, daytime temperatures rarely dip below 70° F in Boquete and rarely climb above 80° F.
Nights are cool and comfortable. Boquete is ideal, therefore, as either a year-round, full-time retreat, or as a place to escape to for several weeks of the year. In our minds, it’s hard to imagine a better haven than this little village. Boquete’s lush green hills, flowing rivers, and spectacular waterfalls make it one of the most unspoiled retirement retreats in the world today. Retirees have flocked to this retirement gem. With banks, B&B’s, hotels, and museums, Boquete is fast becoming an eco-tourist’s mecca. From our vantage point in Panama, we’ve noticed that Boquete has more to offer every time we look. In the last few years a number of new developments have sprung up, including a riverside restaurant, a hotel, a folklore shop with arts and crafts from Central America, a visitors’ center, and a sports center with basketball courts and baseball fields. A two-bedroom, one-bathroom home in a secure, quiet neighborhood. About five minutes from the town center, the home is about 1,600 square feet and sits on a lot of just over 2,000 square feet. The home features a large laundry and storage room, custom wood cabinets in the kitchen, bedroom and bathroom, and comes with hot water heater and a water tank with pump system. Price: $90,000. A three-bedroom, two-bathroom home located just five minutes from downtown Boquete. The kitchen and bathrooms have granite counter tops, there is a kitchen island with wet bar and built in wine rack. The master bathroom has a Jacuzzi tub with an aquarium window view of the surrounding mountains. This house has 1,500 square feet of living space and all of the floors in this home are tiled and there is a beautiful gas fireplace in both the living room and on the patio. Price: $179,000. People searching for an endless summer rather than an eternal spring will probably be inclined to search out beach properties for sale in Panama. Thankfully, Panama has miles and miles of coastline. 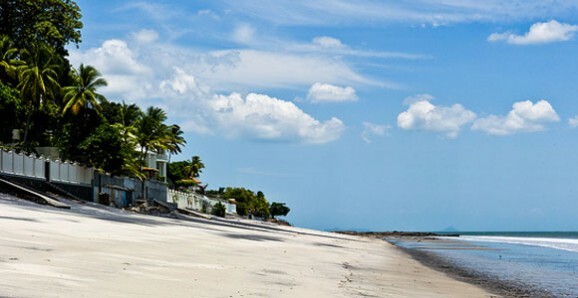 There are several developments where you can find excellent beachfront real estate for sale. Also, much of Panama’s coast has yet to be developed, so you can find amazing beach lots for sale at bargain prices. Why Buy Real Estate In Panama? Most foreigners who come to Panama City are completely surprised by what they find. It’s not the Third World. It’s not dangerous. And it’s certainly not inefficient. The infrastructure, diversity, and sophistication of the country, especially in Panama City—with a metropolitan population of over 1 million —tell a different story than the media. The city easily surpasses its Central American neighbors and should be considered right up there with its Latin counterparts, such as Buenos Aires or Mexico City. In fact, Panama City is our choice the globe over if you’re looking for inexpensive cosmopolitan living. You’ll find world-class restaurants, five-star hotels, international banks, hundreds of multinational businesses, a Manhattan-type skyline, and every imaginable luxury…all at about half the price you’d pay in Miami. And the energy here —as well as the warmth of the people —is unsurpassed. It’s not just the skyline that looks First World. Things work here. You can get to the airport quickly and efficiently. High-speed Internet is the norm, rather than the exception. Your international phone calls go through the first time, every time. If efficiency and reliability are important to you, give Panama a closer look. 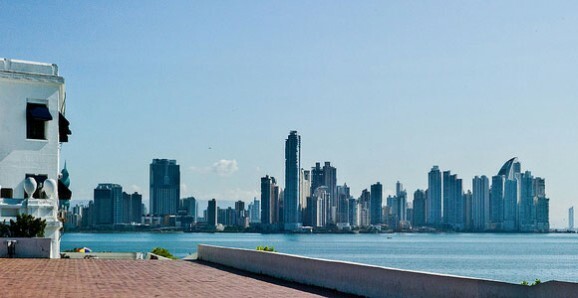 Purchasing property in Panama is very similar to the process in the United States, but there are some important differences. The first thing you need to do is confirm the legal owner of the property. After you’ve found the property you want to buy, ask the owner for two important documents: the public deed containing the title (escritura) and the ownership and encumbrances certificate (certificado de registro publico) from the public registry. You should then give these to your lawyer for an updated search. Even if these documents are not available, ask the seller for a property (finca) number. With this information, your lawyer will be able to search for the title. The escritura states the owner and carries a description of the property. The certificado de registro publico document indicates whether there are any liens against the property or other legal complications. Make sure all the documents are originals and bear the signatures, as well as official stamps, of the registration office. An updated search is advisable in any case. The seller must also provide copies of the survey plans of the property and any buildings thereon, describing the size and location of the property. Enter into a promise to buy-sell agreement, whereby you give the seller a down payment and set a date for the transfer of title. Normally, there is a penalty if either party backs out. During the period set out in the agreement, the seller pays the transfer tax and obtains the clearance certificates necessary to transfer title, and the buyer arranges for payment. At the agreed-upon time, both parties sign the final contract. Your lawyer will draft the final purchase and sale contract. He will gather all documents and make an additional search to ensure that no liens or mortgages have been filed in the meantime. The lawyer will then put the contract into final form and draw it up as a public deed, at which time all parties will go to a notary public to sign the deed. A notary public in Panama is not like the notaries you may have used in America. Panama’s notaries are high-ranking officials and are granted far more responsibility than their American counterparts. They represent neither the buyer nor the seller. The safest thing is to pay the balance of the purchase price through an irrevocable letter of payment from a local bank in Panama. Your lawyer should be able to assist you in obtaining such a document in which the bank irrevocably promises the seller to pay the balance of the sale price upon the transfer of the title to the buyer. The other, riskier way to pay the balance of the purchase price is to give the seller a bank draft drawn on a bank in Panama upon the signing of the public deed at the notary public. This draft can be obtained from one of Panama’s international banks that are used to dealing with English-speaking foreigners. The risk is making the payment before you obtain the registered deed—usually the next step in the process. It will not be final until you do so. This process normally takes a few weeks, but can be done in about 10 days by having your attorney file the documents directly at the main office of the public registry in Panama City. If you are in a great hurry, the public registry charges an additional fee of $250 for next-day registrations (provided all documents are in order). Once the registration process is complete, your lawyer will give you the registered deed and make sure that a copy is filed with the tax records department (catastro), at which time the property will be yours. Most land and homes are sold privately, without a real estate agent. There are active agents, however, and their fees are usually 5%. There is no escrow and no title insurance in Panama, though a secure transaction can be made through a local bank. We recommend you have land surveyed before you purchase it. And don’t purchase any property without consulting a local attorney who can help you through the process. Getting clear title to property in some parts of Panama can be problematic if you’re not careful. It’s best to avoid the San Blas region on the country’s eastern coast, for example, where the Kuna Indians live in what has been designated an independent, sovereign state. Some people have attempted to partner with the Indians to buy property here, with no success…even the Smithsonian was kicked off this land. 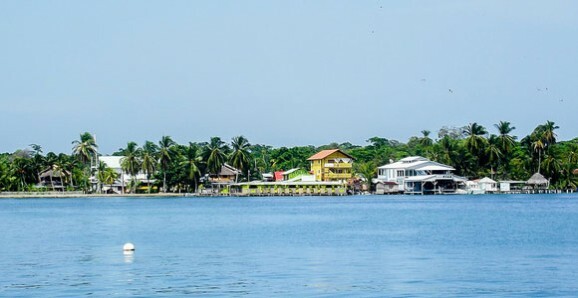 In addition, most of the property in and around Bocas del Toro (and in the country’s agricultural areas) is owned by the government. You cannot readily acquire titulo de propiedad (formal titled ownership) to any of these properties. Another way to acquire land is through derecho posesorio (possession rights), which permit a buyer to acquire a right to possession that is transferable in perpetuity, so long as the land is actively used for the public good. This is a gray area, and the Panamanian courts are working to clarify the condition; a favorable judgment would make derecho posesorio an acceptable form of ownership for tourism development. Until then, we recommend that you never purchase a property with possession rights only, even though we know of several people who have done so without a problem. Under Article 286 of the constitution, foreign ownership of property within 10 kilometers of an international border is forbidden. Real estate agent commissions typically range from 3.5 to 5% of the selling price, and are paid by the seller. The buyer must pay the expenses regarding title at the public registry. The amount to be paid is estimated according to article 314 of the Fiscal Code. This scale is rather cumbersome, but as a general guide, closing costs typically amount to around 3% (including legal fees, registration and notary fees). Transfer taxes in Panama are paid by the seller, and are 2% of either the updated registered value of the property or the sale price, whichever is higher. The updated value is the registered value, plus 5% per annum of ownership. If the property is bought by a corporation, it is customary for the shares of the company to be sold (instead of the property), thus eliminating the need to pay transfer tax. Inheritance taxes in Panama have been completely abolished. Despite this, taxes on gifts ( inter-vivos) of properties located in Panama are in effect, and the rate depends on the degree of relationship between the donor and the donee. This does not apply to property owned anywhere outside Panama. If you receive rental return on your property, you will be liable for income tax up to a maximum of 30% (on returns greater than $200,000). However, if you invest in one of the special “tourism zones,” you may be exempt from income tax for 15 years. Value over $250,000: 5-year exemption. The exemption is transferable during the exemption period to any new buyer. The land itself is not exempted and would continue to pay property tax if its value is above $20,000. Real estate gains should be included in the annual tax return, and are taxed at whatever level the individual is being assessed for income tax.